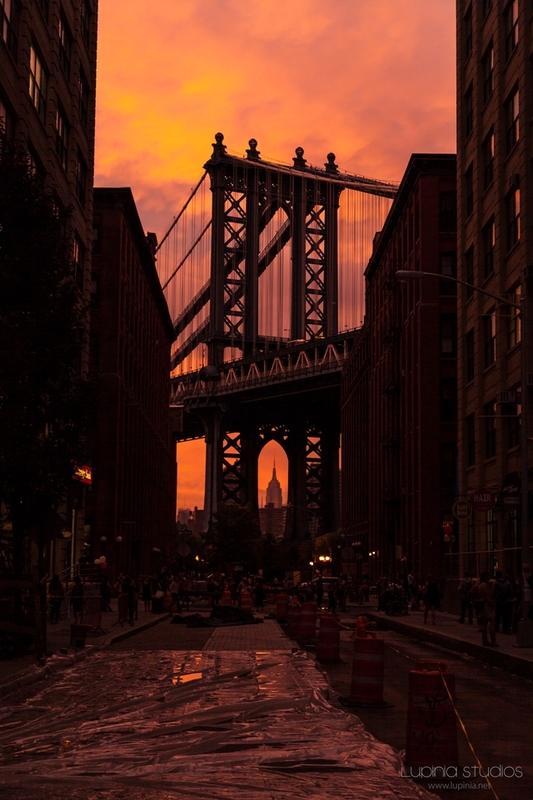 While rushing to a park in Brooklyn's DUMBO neighborhood, to catch this gorgeous sunset over Manhattan, we stopped for a minute to photograph it looking up the street. Unfortunately, I was in manual and didn't adjust my settings from the previous mid-day shooting, so when I looked at this on the camera and on my computer, it was a completely black frame. But because Lighroom is awesome, I was able to pull some details out; it's not quite the shot I had in mind when I captured it, but I love the effect I ended up with!